Team Verde had the pleasure of helping Alexandra prepare to marry her fiance Cody. 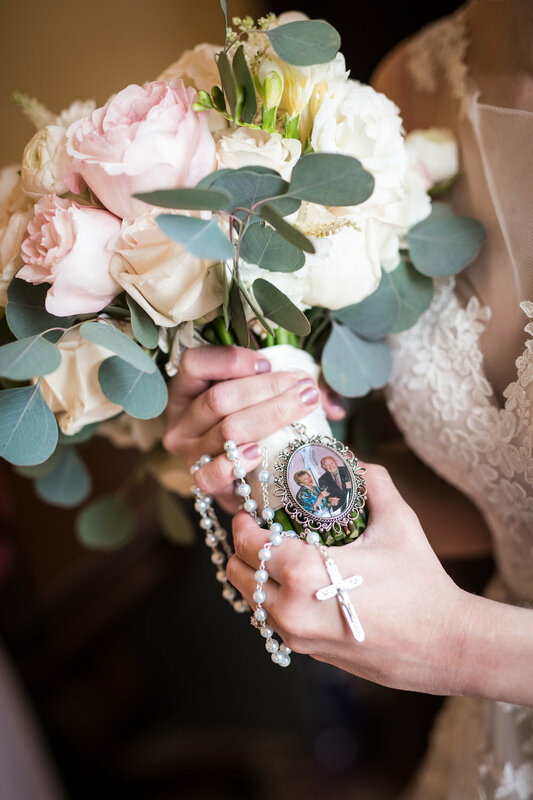 They were married at Our Lady of Prompt Succor Catholic Church in Chalmette, LA. They finished off the evening with a reception at the beautiful Southern Oaks Plantation in New Orleans, LA. 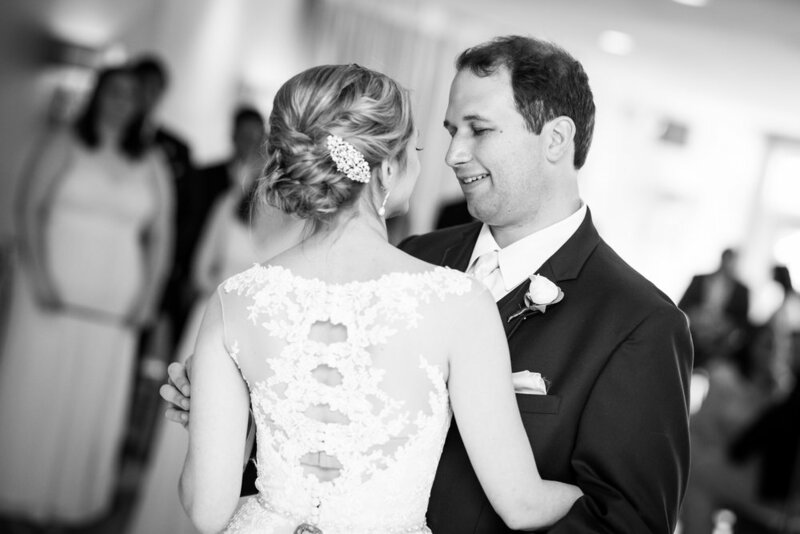 Michael Caswell Photography captured their wedding beautifully. We met at a halloween party where I was dressed as Cinderella and he dressed as a scientist. We hit it off and talked the whole party. My shoe strap even broke as I was leaving the party, which caused me to stop and take it off. That was when he asked me for my number. It ended up being a true Cinderella moment. We went to a play at Le Petit theater in New Orleans and he asked if we could walk to the French Market after. As we were halfway there, he stopped me and got on one knee and popped the question. He also set up for one of our photographer friends to capture the moment. 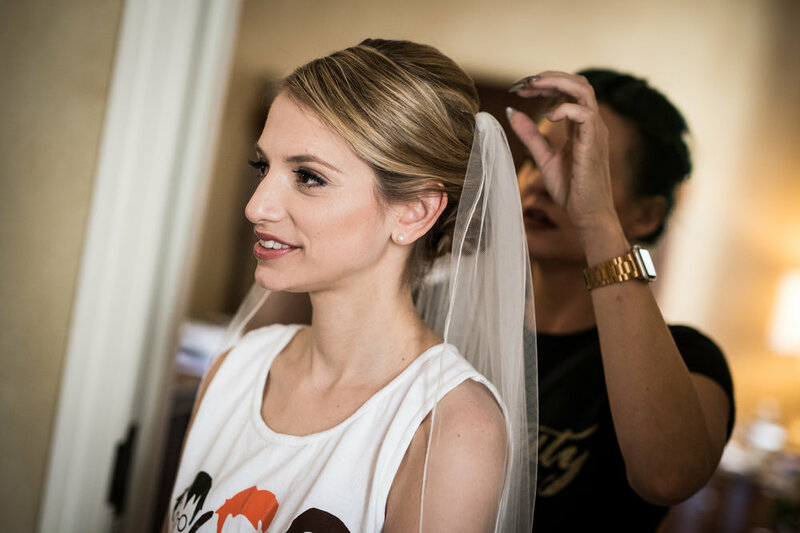 Alexandra and Cody both got ready for the big day at the Roosevelt Hotel in New Orleans where Tina and Karen with Verde Beauty Studio worked their magic on Alexandra, the Mother of the Bride, Bridesmaids, and the Bride's Godmother. Alexandra and her bridesmaids wore Harry Potter themed squad goal shirts from Dash Forward Apparel on Etsy as they got ready for the big day. Alexandra gave each of the Bridesmaids and her Mom mugs from Anthropologie to say thank you for being a part of her and Cody's special day. I grew up at that church, served for them, and attended school there. It is where my parents got married and my grandparents were one of the first parishioners in 1952. When we were announced, we entered through a canopy of Harry Potter wands and lightsabers held by our bridesmaids and groomsmen respectively. Acknowledging traditions in our relationship and in our families was very important. Some of those traditions included our cake topper, first dance, and even our officiant. Our cake topper was from my grandparents wedding in 1948. The priest married my parents in the same church in 1982. Our first dance was to "My Funny Valentine" by Ella Fitzgerald because that was the first song we ever danced to together on our first Valentine's Day together. We dance to that song each Valentine's Day now. Also wrapped around my bouquet was a picture of my grandparents from their 60th wedding anniversary. They passed away before I got married and so it was important to have a part of them with me. 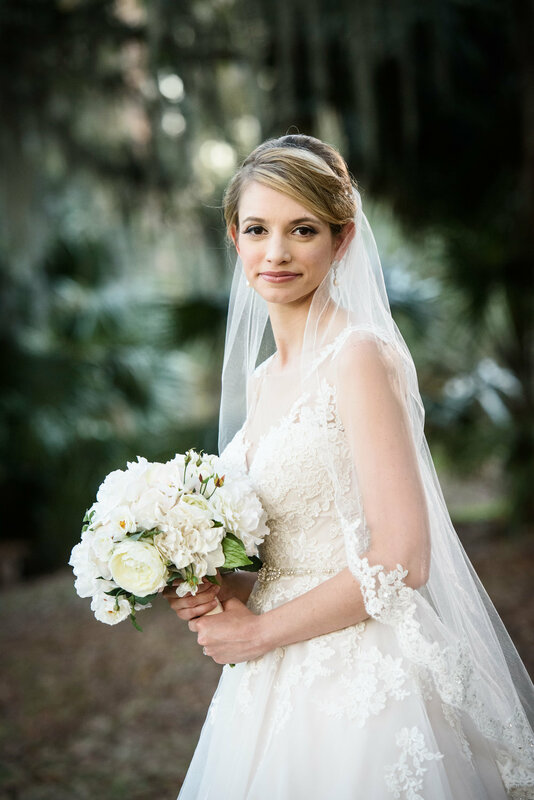 Alexandra chose a beautiful Rebecca Ingram ball gown purchased from Pearl's Place in Metairie, LA. 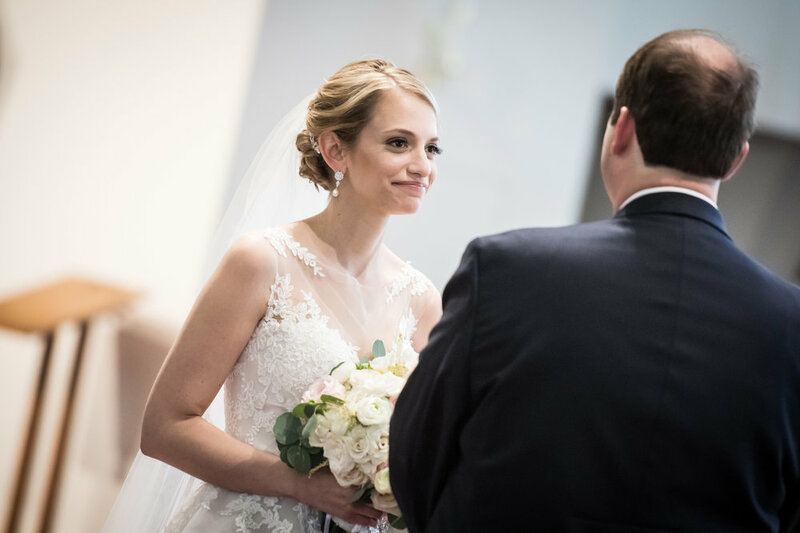 She completed her look with a matching veil and pearl and diamond earrings. Cody wore a navy suit with a light pink pocket square from Men's Wearhouse. He finished off his look with cufflinks. Alexandra and Cody coordinated beautifully with their wedding party. 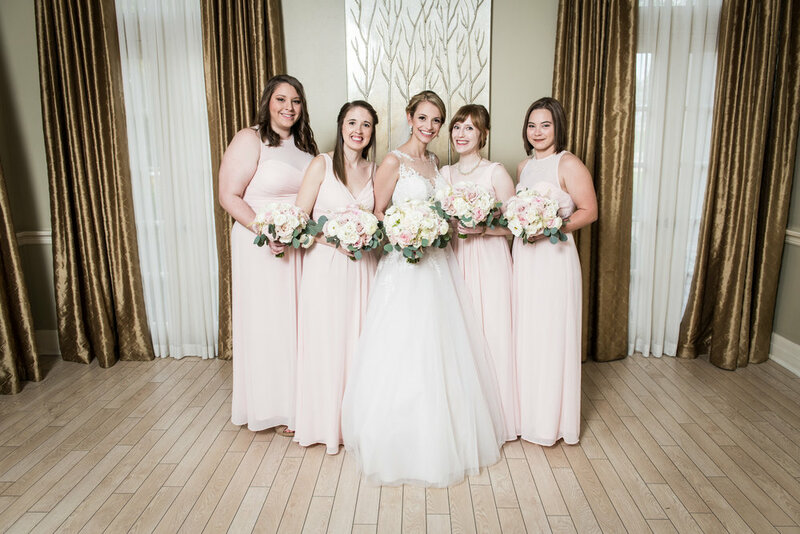 The bridesmaids wore light pink chiffon dresses of various styles. The groomsmen wore matching suits and a navy chiffon dress. Relax. Things may go wrong, but at the end of the day, it's not going to matter because you will be so focused on having fun and being with your new husband. Sometimes the things that go wrong make the best stories.